Why One Should Buy Lenovo A6000? Affordable Smartphones are the craze of the modern generation and Chinese technology giant, Lenovo is keen in capitalizing on that with the A6000. After launching the smartphone during the CES held this year, Lenovo didn’t take much time in bringing it to all over the world. It is no news that mobile companies like Xiaomi and Huawei have been highly successful in winning the hearts of many cost-efficient Smartphone consumers by limiting the sale via e-retail stores. And Lenovo wishes to reap the same benefits by following the same path and making the A6000 available to all the Lenovo users worldwide. Here’s a list of reasons that will surely encourage you to explore the Lenovo A6000. The Lenovo A6000 is the least expensive smartphone to support 4G networks. It comes with an inbuilt Cat 4 LTE modem that supports FDD LTE Band 3 and TDD LTE Band 40 enabling you to take full advantage of the internet without compromising with speed. If you are looking for a technologically advanced device, you can surely try out this smartphone. It also supports the usual connectivity features like 3G, GPS/A-GPS, Wi-Fi, USB port and Bluetooth. The Lenovo carries a big 5-inch IPS multi-touch display with 16M color architecture and slim lateral bezels leading to a screen to body ratio of 69.3%. It offers HD resolution (720 x 1,280 pixels) and a pixel density of 294ppi which may not look so exciting but is pretty impressive in this price range. The screen seems to be susceptible to get affected by scratches and fingerprints, so you’ll have to install a screen guard. Despite being so big, the device has a thickness of just 8.2mm and a weight of 128g, so it won’t pose much problem when you intend to tote around with it. Instead of the glossy finish, Lenovo has opted for a soft matte finish for the back cover thereby giving an upmarket feel to its design. It has been spotted with stereo speakers at the back and supports Dolby Digital Plus technology to deliver crisp and clear sound. At the heart of the Lenovo A6000, there is a 64-bit Qualcomm MSM8916 Snapdragon 410 chipset which is hardly available in smartphones of this range. It carries a 1.2GHz quad-core Cortex A53 processor and has the capacity to deal with high end computing tasks. It combines with 1GB DDR3 RAM to deliver smooth performance while running multiple apps simultaneously. The Adreno 306 GPU handles mobile games and videos quite well. The device has an internal memory of 8GB out of which 4GB is user accessible and supports up to 32GB of microSD cards. It runs on Android v4.4.4 KitKat OS dressed in Vibe 2.0 UI. The Lenovo A6000 is equipped with an 8MP autofocus camera at the back with 3,264 x 2,448 pixels resolution. Lenovo A6000 also featured touch focus, geo-tagging, face detection, LED flash. The camera fares very well in comparison to the ones available on its rivals. At the front, there is an impressive 2MP snapper which doesn’t cause lags while capturing selfies and handling video calls. While the rear camera can shoot HD videos at 30fps, the one at the front can do the same at 15 fps frame rate. The release date of Lenovo A6000 is January, 2015, and it will be available in all major retailers and outlets all over the world either online/offline. The main talking point of this smartphone is its extremely attractive price. 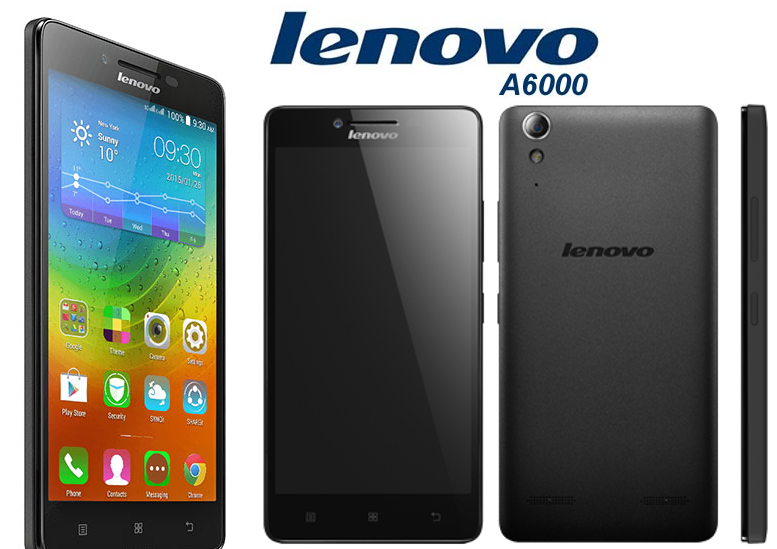 The official Lenovo A6000 Price is $113 USD and €100 EUR. The arrival of the A6000 has raised the bar for budget smartphone manufacturers, especially due to the fact that it comes at an extremely affordable price, and supports 4G LTE networks. And even if you ignore the certain lack of features, you will easily love the host of powerful specs this device has to offer. Moreover, with the telecom sector witnessing rapid advancements in quick time, the Lenovo A6000 can definitely be viewed as one of the best next generation smartphones within budget.